First thing’s first: This is not for drinking. There will be no drunk astronauts in orbit. Now that that’s been cleared up—Suntory Global Innovation Center, based in Tokyo, has launched an experiment to the International Space Station to investigation the “development of mellowness in alcoholic beverage through the use of a microgravity environment.” In other words, they just sent a bunch of whisky into space to see how the lack of gravity changes the taste of liquor. The boozey experiment, to be conducted by the Japanese Aerospace Exploration Agency (JAXA) in that country’s experiment module, nicknamed “Kibo,” will take place in two phases. Group 1 will hang out in space for a year, while Group 2 will spend two or more years in microgravity on the ISS, according to the company. Both batches launched on August 16. Spirits aficionados know that older whisky, like some kinds of red wine, get smoother and richer in flavor with age, but it’s still something of a mystery why this happens. In heavier red wines, like Cabernet Sauvignon, the breakdown of tannins over time replace a bite-y, dry taste with a deeper and smoother flavor as the sugar in the wine is fermented into alcohol while the wine is aged in barrels or bottles. Whisky is also barrel-aged, taking on some of the flavor of the type of wood used for the barrel, but that doesn’t explain the whole process. Suntory Global is hypothesizing that “the formation of high-dimensional molecular structure consisting of water, ethanol and other ingredients in alcoholic beverages contributes to the development of mellowness,” but the company is trying to use the lack of gravity in space to see if other factors contribute to whisky’s tasty flavors. While Group 1 and Group 2 are hanging out on the ISS, two identical batches will be in a test facility in Japan, serving as a control group for the experiment. Again, it needs to be stressed that the astronauts—now seven in total, a record number of inhabitants on the ISS—will NOT be drinking the spirits while traveling at more than 1,700 miles per hour 240 miles above the surface of the Earth. However, if they were to take a sip of the specimens, they’d be in a tough spot. No gravity means it’s harder for liquid to be consumed like we’re used to on Earth, as tipping a cup doesn’t result in liquid flowing to the top. 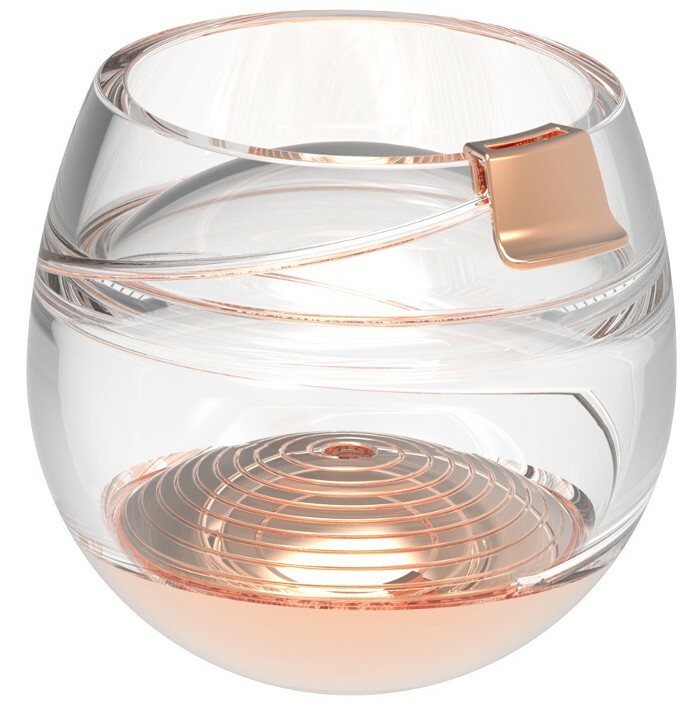 An American astronaut, Don Petit, developed a zero-g coffee mug several years ago to make his morning coffee more like the cup of joe he’d have at home on the ground, and now a company has taken it to the next step: zero-g whisky tumblers. This is high-tech innovation meets happy hour in the coolest way. With an eye on the future possibility of money-laden tourists wanting to cap off their trip to the edge of space with a glass of Scotland or Kentucky’s finest, Ballantine’s has developed the Space Glass, a 3D-printed heavy plastic cup designed by the Open Space Agency. As of yet, it doesn’t appear that the glasses are on sale to the non-space-faring public.